Help your loved ones honor your wishes. 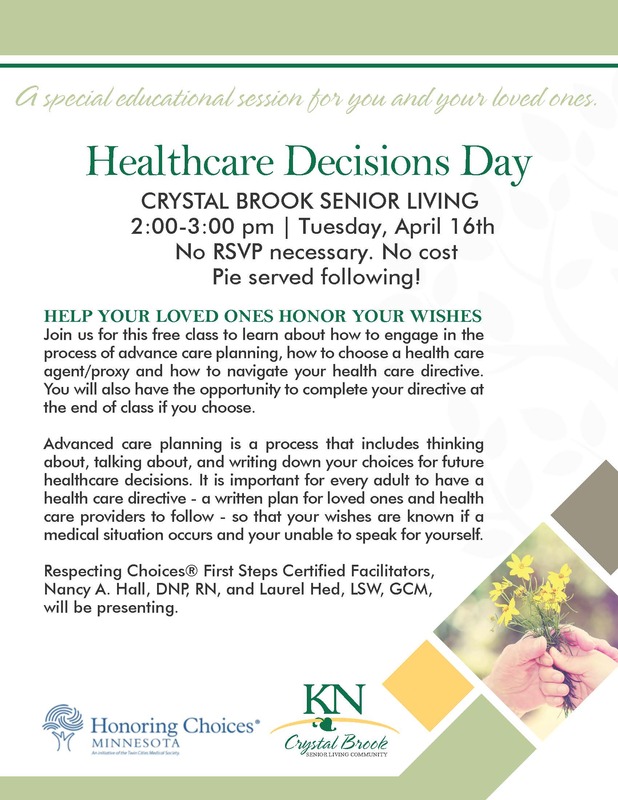 Please come join our FREE class to learn about how to engage in the process of advance care planning, how to choose a health care directive. You will also have the opportunity to complete your directive at the end of the class if you choose. Advanced care planning is a process that includes thinking about, talking about and writing down your chioces for future healthcare decisions. It is important for every adult to have a health care directive - a written plan for loved ones and health care providers to follow - so that your wishes are known if a medical situation occurs and you are unable to speak for yourself. No RSVP Necessary. No cost pie served following.